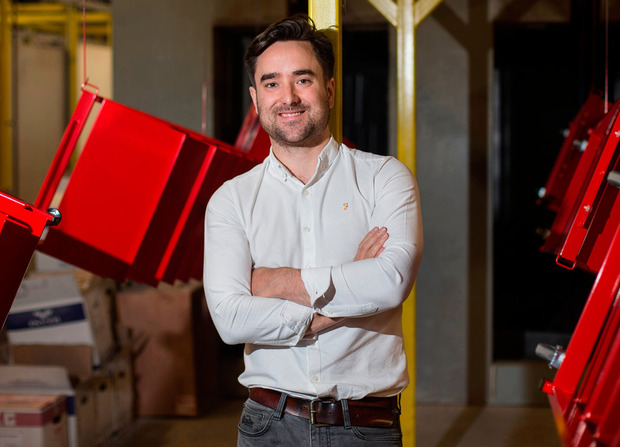 Alan Devine, the founder of Dublin-based Design & Display (D&D), is a gifted steel fabricator with a flair for design and quality. D&D have been manufacturing point of sale (POS) stands for more than 30 years, for brands such as Kellogg's, Harry Corry, Panadol, Mars and more. D&D are tuned in to the most up-to-date retail trends and provide a complete turn-key POS stands service - including design, manufacture and installation. The company collaborates closely with major retailers and consumer brands to drive sales for their campaigns. During the boom years, they won great business success built on relationships and the integrity of their customer service. They didn't employ a sales team, as repeat business and referrals were enough to ensure they grew year after year. "We've been at this a long time and I was the only salesperson. Our customers would call us when they had a need and we delivered on time and on budget, every time," said Alan. When the market turned and the bottom fell out of the retail market, D&D were challenged with managing their business in a new environment. Survival was more important than growth and cost-cutting became the daily priority. And like most other organisations, that meant cuts to payroll. That was difficult, given that 30 local families were dependent on the income that the business generated. Coupled with that, succession was a consideration. Alan had reached a point where he would like his son Colin to take over the business. Buyers of POS stands were under pressure for budgets so they didn't order as often as usual. They tended to make do by recycling old stands. And when they did buy, they expected D&D to provide them with premium quality stands at budget prices. Faced with this, Alan and Colin recognised that they needed to think and act differently. Brands and retailers were applying more customer insights to their thinking. They expected their partners to be innovative and give more for less budget. 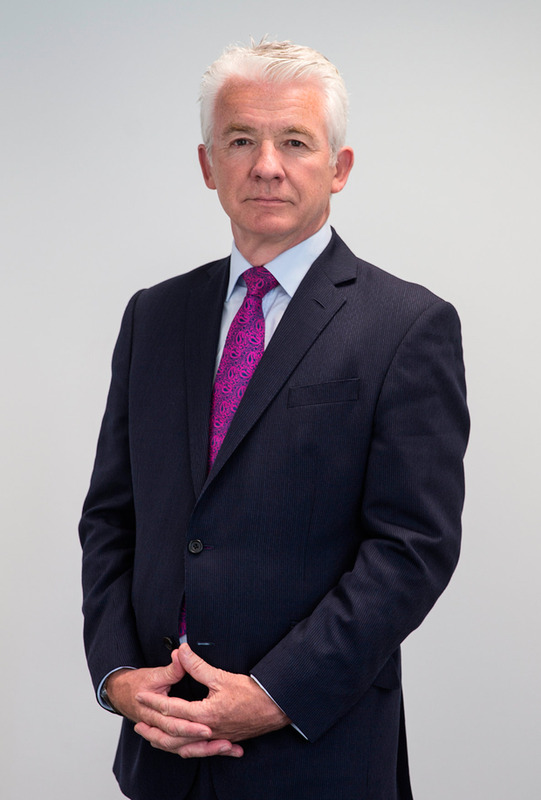 Colin is now driving the business and faced with growing sales at margins that protect the business for the future, in a new and very different world. In intensive discussions with Alan and Colin, we identified three areas for attention. From our work with other major brands that partner with retailers, such as Donnelly, Glanbia, Symantec, UPS, we saw similarities that could be successfully scaled for an SME like D&D. Working with Colin, we developed a new proactive sales structure. Although D&D already have a list of long-standing existing customers, in many cases their contacts had moved on. Because Colin couldn't rely just on relationships for business, he identified a new list of preferred customers both in Ireland and UK. Colin also upgraded the website to a more modern look and feel with a friendly but professional tone of voice. He was keen for D&D to be seen as friendly, fresh and on-trend, just as brands and retailers would expect. We then developed a new two-stage selling process. Using emails and LinkedIn he secures an initial meeting. In those first meetings, Colin now asks very structured questions to better understand customer needs. This is then followed by a return meeting, to present his concept and pricing in detail. This is a complete reinvention of their previous way of selling. And it is working. "Customers are really surprised when we first ask to meet. But when we then present our proposal that perfectly matches their needs, they really appreciate it," says Colin. While this might sound obvious and cliched, not many organisations large or small actually do it effectively. This style of professional selling also prepares the seller for the structured approach that trained buyers use and expect. After 30 years of custom-making premium stands to order, D&D revised their product lineup and developed a 'good, better, best' range of products. To be more relevant and cater for a changed marketplace, they also introduced a range of pre-designed generic stands at a lower cost. For short-term promotional campaigns, they can turn these around very quickly with tailored header boards. Colin is now in his 30s and has worked in the family business for more than 10 years. Learning the business from the factory floor to the boardroom, he has seen it all first hand. But succession management needs careful planning. Apart from the tax and legal mechanics of succession, serious thought and consideration should be given to strategy, structure, accountabilities and day to day management of the business. Colin is going through a succession plan where he will assume control in the near future. As Alan steps back, he is mentoring Colin through a structured handover. That entails a programme of learning for every aspect of the business from sales, to production, to managing the finances. A phased handover is necessary to ensure that Colin is not overloaded and gets time to really absorb the learning. As Colin makes his mark with changes, communications and trust are critical. This often needs independent and third-party support. This new world of dynamic change is not just about emerging technologies. Change is also about corporate culture, mindset and doing things differently to 'the way we've always done them'. This can also apply to processes, thinking and behaviours. For D&D, they have returned to basics and simply refreshed their focus on the customer and product development. D&D are now well structured to grow under the leadership of the next generation.